We have already seen the impetus for targeted-design of drugs. However, how this plays out in the complex world of personalized-medicine remains to be seen. Certainly, the genomics of cancer and other diseases has been a matter of continuing investigation, and is not clear with respect to patient management. The American Association for Clinical Chemistry (AACC) has issued a position statement on Personalized Medicine, emphasizing the role of laboratory medicine in the delivery of Personalized Medicine (PM). The AACC stresses the need for Congressional funding for basic and clinical research in the field of PM tests. Important in this view is the need to develop evidence based criteria for the reimbursement of companion diagnostics. In addition, the recommendation urges that laboratory professionals become more engaged in educating physicians about the availability of and limitations of PM tests, and to partner with other healthcare professionals. The Centers for Medicare and Medicaid (CMS) has issued new data on the cost savings of accountable care oganizations (ACOs). The American Hospital Association Senior Vice President Linda Fishman calls attention to the need for the CMS to make the program more attractive to new and current participants. CMS announced in May that the Office of the Actuary found the Pioneer ACO model geberated more than $384 million in savings to Medicare over the first two years of the program while continuing to provide high-quality care. 1. The EHR needs to be functionally more than just a repository for data. It has to be linked to multivariable algorithms that parse the data in real time, and thereby assist physicians in decision-making. This would be essential for a population-based model for value-based payments by Medicare and all providers in the next several years, in accordance with the Affordable Care Act. 2. The EHR has to be accessible to all of the providers of care to the patient, and the information also protected from intrusion. This means that if a patient has cancer, and is also diabetic, and has for example, rheumatoid arthritis, the data has to be available to all providers actively engaged in treatment. This might be the endocrinologist, a primary care physician, a rheumatologist, radiologist, and oncologist. This is not by any means a consideration in the current design of the EHR. 3. The access to laboratory and pharmacy data must be seamless, which has not been the case. If these considerations were considered in a patient-focused design of the EHR, the benefits would almost certainly accrue. I call attention to the fact that there are ongoing medical studies and pertinent findings that could also contribute to the quality of care, but these might take some time to be incorporated into an evidence-based program going forward. This is the third discussion of a three part series on the Affordable Care Act, which is enacted and has passed review by the US Supreme Court with respect to Constitutional Legality. As a result, there is a requirement for States to implement the ACA by forming Accountable Care Organizations as a major mandate to provide an insurance safety net for the unemployed, the indigent children of unemployed or underemployed, and the highest risk population of our citizens. The implementation of the law will take time, will need tweaking, and is already accompanied by significant reorganization of the insurance industry, which has been dominated by for-profit-organizations with a label ‘managed-care’, by the alignment of hospitals into large networks to gain leverage in negotiation of annual budget allocations, and reorganization of physicians either into very large ‘institutional providers’, or into groups of independent physicians into a ‘contract managed’ concierge group, or the persistent independent practice with assigned privileges in a department on the Medical Staff. In any case, these arrangements are clearly matters of managing risk. The current sequestration is an unneeded confounding factor is the matter of managing financial risk. The formation of alliances of hospitals, not necessarily within one state, and the provision of care by maybe two hospitals in a community. One interesting case is the existence of two hospitals in Erie, PA. The Catholic Hospital has an assigned medical staff, and the other hospital is managed by University of Pittsburgh Healthcare Alliance, which is also a health insurance entity on its own. The consequence of this arrangement is that there is no crossover of medical staff and patient choice of a physician is no longer an issue for choice. I have already mentioned where the physician is in this reorganization. Young physicians coming into practice will choose an established group, or they might become an employee of the hospital with the ‘Part B’ payment coming through the organization’s finance (to the Medical Practice Organization), and the facilities and equipment costs taken care of by the organization. The hospital’s negotiate the insurance rates as a large network of organizations. One risk for some members of the organization is the siphoning of cases to the strongest members of the group. This would mean that smaller, non-metropolitan hospitals would have to refer any cases with moderate-high complexity. That could present a problem of fairness in allocation of resources, and possibly a problem of access over large distances. The continuum of care requires continual communication and information sharing to tie it together, and that involves computerized equipment that clinicians and patients understand, are familiar with and will gladly use. The proliferation of cellphones, their morphing into miniature computers and the addition of wireless tablet computers have become a ready base for health-related information interchange. The challenge for health care CEOs is to bring that potential into the particular realm of care delivery, surrounding it with reliable infrastructure and fostering policies on IT support and data security that keep a beneficial but strongly decentralizing force from getting out of corporate control, experts say. A smartphone or tablet is engaging to clinicians “because it’s intuitive, it’s got the good battery life, it’s got the accessibility, fairly good speed; it brings everything to your fingertips,” says David Collins, who heads up mobile health activities with the Healthcare Information and Management Systems Society. In contrast to interfaces for electronic record systems, which take some time to get to know and love, the intrinsic enthusiasm for mobile devices has required reining in physicians’ ambitions to use them beyond what may be practical or supportable. An interdisciplinary committee for mobile-health policy — deciding not just device issues, but also the clinical issues of working them into health care operations — is the first step in developing a sensible rather than haphazard approach, says Collins. Here are a few simple things you can do to maintain a HIPAA compliant environment. Make sure HIPAA stays on the radar of your HR staff. Be sure that HIPAA training is on the checklist for all employees. The next time a new employee is hired, ask to see the evidence that the person was trained prior to being given access to patient data. If it was done, document it as part of your internal auditing program to stay HIPAA compliant. Audit your employees to make sure they are HIPAA compliant. Check work areas to ensure that passwords are not visible. Check the documentation for the tasks they perform. Observe them while they do their jobs. Let everyone know you are looking and conduct random HIPAA audits regularly. Being HIPAA compliant means you will review it at least once a year. Immediately document any significant changes, like moving to a new location, relocating IT equipment to a new data center; or implementing a new EHR system. If nothing changes in a year, just make a note, and sign and date it. A bigger challenge to being HIPAA compliant than your employees are your vendors. They can cause a data breach that could cost you millions of dollars. Demand evidence that they are HIPAA compliant, and their subcontractors are HIPAA compliant. How can you remember everything needed to be HIPAA compliant? Use your computer to schedule reminders to audit HR, your employees, and schedule reviews of the biggest threat to you staying HIPAA compliant— usually your IT company, cloud software vendor, data center, or online backup company. On behalf of the American College of Physicians, I am writing to share our views on what has been released for Stage 2 and what we have been told to expect for Stage 3 of Meaningful Use. ACP applauds ONC and CMS, as well as the Health IT Policy Committee and Standards Committee for their diligence and hard work in developing Stage 2 of the EHR Incentive Program. However, we are concerned that the very aggressive timeline combined with overly ambitious objectives may unnecessarily limit the success of the entire EHR Incentive program. Further, the reliance on evolving and draft standards, technologies for which integration is not yet completely tested, developing infrastructure, and upcoming regulatory requirements (i.e., ICD-10) add complexity and uncertainty to the situations faced by physicians and their teams. As you work to transform the recommendations for Stage 3 into ambitious yet broadly achievable measures, we urge you to keep in mind the original guiding principles of the program – to position physicians and other healthcare providers to deliver excellent, patient-centered care focused on improving clinical outcomes. While we support the goals represented by the Meaningful Use (MU) objectives, we are concerned about the appropriateness, focus and feasibility of some of the proposed measures, as well as the potential unintended consequences and additional costs to the practices of these well-intended efforts. Today, the hope of receiving “Meaningful Use” rewards is motivating some physicians to begin using electronic health records sooner rather than later. But the government incentives will not cover all of their EHR-related costs, and there are many other reasons to get an EHR now. • Improve practice efficiency. By replacing paper records with EHRs, for example, practices can reduce record handling and access data more quickly for both clinical and billing purposes. • Help improve quality of care. Decision-support features can help avoid medical errors, while reporting and registry functions allow practices to track and reach out to patients who need preventive or chronic care. • Be a building block for a medical home. Many payers are now giving incentives to encourage physicians to create patient-centered medical homes, which require EHRs. • Prepare practices for accountable care: EHRs in interoperable networks are essential to accountable care organizations (ACOs). • Help recruit new physicians. Young doctors who trained on EHRs in residency want to work in computerized practices. According to experts, the incentives for Meaningful Use — up to $44,000 per provider through Medicare or nearly $64,000 through Medicaid — will cover only a portion of the long-term cost of an EHR system. Estimates of the five-year cost of EHR hardware and software range from $30,000 to $80,000 per physician, depend¬ing partly on practice size. And that doesn’t include the cost of training, interfaces, patient portals and conversions from other systems. Except for depreciation, all of these ROI sources can be facilitated by the use of an integrated EHR and practice management (PM) system with a single database. The government’s regulations also allow physicians to show Meaningful Use by employing a combination of certified EHR modules — for example, electronic prescribing, document management, and charting systems. But if these systems are from unrelated vendors, it will be very difficult and expensive to con¬nect them with a single interface so they can work together. So, even though these modules may enable some practices to meet the Stage 1 Meaningful Use requirements, they will slow physicians down and make practices less, rather than more, efficient. To obtain financial incentives, physicians must demonstrate Meaningful Use of an EHR system certified by a government-approved certification body. In Stage 1 of Meaningful Use, a physician or other eligible professional (EP) may attest to Meaningful Use for a 90-day period in either 2011 or 2012. That attestation will entitle the EP to a payment of $18,000. Further payments fol¬low over the next four years if the EP meets the Stage 2 and 3 criteria for Meaningful Use. The U.S. Department of Health and Human Services has mandated all health care providers begin use of ICD-10 on October 1, 2014. The conversion to the new coding set will demand incredible effort from the medical community and, if not proactively addressed, could cause major disruptions for health organizations. To complicate matters, the conversion comes at a time of other significant changes including the implementation of EHR (electronic health records). Although EHR and ICD-10 may seem like separate issues, adopting the right EHR system will help you prepare for the ICD-10 conversion. AdvancedMD EHR and integrated billing are powerful tools in the ICD-10 conversion. With over 60 years of experience, ADP is a trusted company with the knowledge and resources to give your practice the advantage in ICD-10 conversion and EHR implementation. The conversion to ICD-10 has caused uneasiness in the health care community. The coding changes come at a time when healthcare providers are already grappling with other reforms, including the implementation of electronic health records (EHR). Recent regulations to implement ICD-10 and EHR are intended to streamline information sharing and create a more efficient national healthcare system. However, the changes can seem overwhelming for a busy private practice. Physicians are scrambling to purchase software and make upgrades before the quickly-approaching deadlines. You can’t afford to wait any longer to develop your EHR and ICD-10 implementation plans. Today’s EHR systems are more powerful than ever. They have been designed to reflect regulatory changes to record-keeping, documentation, and coding. But not all systems are created equal— choosing an EHR system may be one of the biggest decisions you make for your practice’s financial health. EHR software should reduce the disruptions of ICD-10 conversion, not compound them. 1. Invest in an EHR system that will be fully utilized by staff. 2. Choose an EHR designed to reduce ICD-10 transition challenges. ICD-10 requires physicians and clinical staff to capture more specific patient data. With nearly nine times as many codes as ICD-9, the new coding set aims to record a higher level of medical data to use in patient care, billing, and reporting. Additionally, EHR should aid in creating complete, detailed patient documentation. Physicians have always strove to create accurate patient charts, but the task may seem daunting with new ICD-10 codes and an expectation of increased specificity. EHR systems should provide point-and-click options to apply treatment codes and make chart notes. 3. Ensure EHR software facilitates clinical information exchange. When the federal government passed legislation to reform health care information technology, the reporting and exchange of patient information was a primary focus. An important consideration is how EHR technology will manage the data from other providers and health information exchanges (HIE). Powerful EHR software makes this data an invaluable asset to patient care by intelligently organizing shared information. A private practice’s technology should present clinicians with applicable information in an easy-to-use format. 4. Check for intelligent mapping and prompting. An EHR system should enhance the patience experience, not complicate it. Systems that provide intelligent mapping and prompting will allow the provider to easily code and chart. Based on a patient’s history, current findings, and documentation, EHR software should suggest proposed ICD-10 codes. Physicians can focus on engaging with the patients rather than worrying about coding proficiency or manually hunting through data screens. Intelligent mapping and prompting will reduce the time spent manually updating a patient’s chart or charge slip. 5. Select an EHR system that will support future requirement updates. An EHR system can be a powerful tool during the ICD-10 conversion; it can also be a hindrance. Selecting an EHR system that is capable of supporting the ICD-10 transition may be one of the most important decisions you make—but that is just a start. Be sure it will accommodate future regulatory changes. EHR systems must be adaptable to new requirements through simple upgrades. A powerful EHR system can be updated without causing major disruption to your daily operations or to patient care. When evaluating a new system, be sure it can be modified to address future needs. Expect more from your EHR. The EHR must provide tools that meet Meaningful Use requirements, maximize practice efficiency, and aid you in the ICD-10 conversion. From California to Illinois to New Hampshire, and in many states in between, insurers are driving down premiums by restricting the number of providers who will treat patients in their new health plans.WASHINGTON — Federal officials often say that health insurance will cost consumers less than expected under President Obama’s health care law. But they rarely mention one big reason: many insurers are significantly limiting the choices of doctors and hospitals available to consumers. Note that this study of California registry data suggested an increase in ED visits among those insured by Medicaid from 2005-2010. Be aware that the authors speculate that the high use of the ED by Medicaid participants is due to poor access to primary care. Increases in California emergency department (ED) use were driven in large part by Medicaid patients, presaging increased burdens after the Affordable Care Act kicks in completely, researchers found. 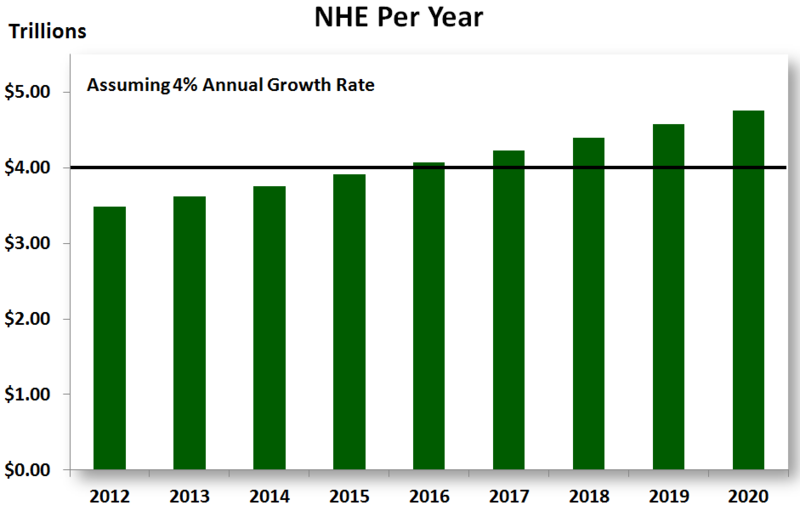 From 2005 to 2010, the number of visits to California emergency departments rose by 13.2% from 5.4 million to 6.1 million annually, with a significant 35% increase in the number of patients insured through Medi-Cal (as Medicaid is known in California) driving this rise (P<0.001), according to Renee Hsia, MD, MSc, of the University of California San Francisco, and colleagues. Medicaid patients also had the highest usage burden for ambulatory-care-sensitive conditions (54.76 per 1,000 patients on average) compared with those who had private insurance (10.93 per 1,000 patients) or none at all (16.6 per 1,000 patients), they wrote online in a research letter in the Journal of the American Medical Association. According to previous research, many patients who will soon be insured under the ACA will be enrolled in Medicaid. While these people are generally healthier than current Medicaid enrollees, they may introduce a new and vast additional burden to treat undiagnosed and uncontrolled conditions. The largest increase in visits occurred in 2009, most likely because of the “H1N1 pandemic and the influence of the economic downturn on coverage transitions and access to care,” the authors explained. Total visits per 1,000 adults living in California increased by 8.3% from 252 to 274 between 2005 and 2010. 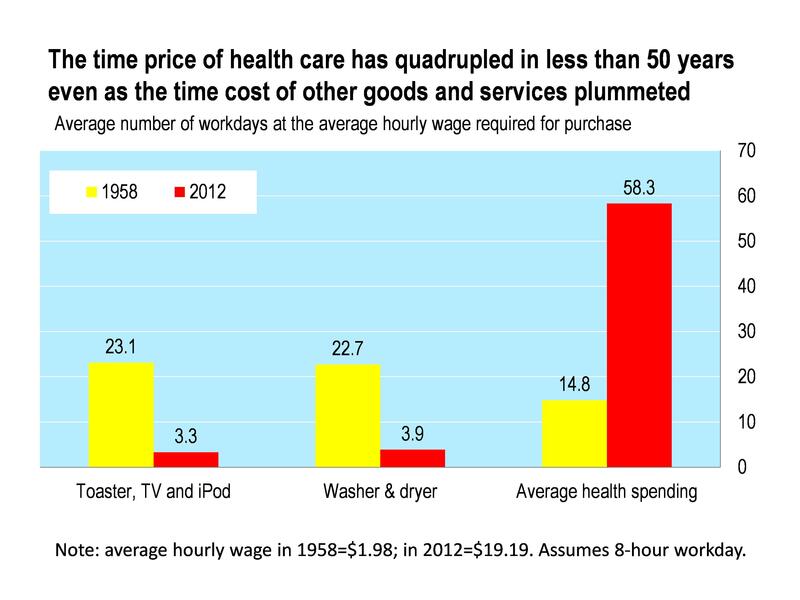 Will healthcare reform drive up ED use? Medicaid patients use the emergency department more frequently than uninsured patients, as they still have trouble accessing primary care, according to a research letter in today’s issue of JAMA. Researchers conducted a retrospective analysis of California ED visits by adults 19 to 64 years of age from 2005 to 2010, and found the number of visits to EDs increased by 13.2 percent to 6.1 million per year. The largest increase in ED visit rates occurred among adult Medicaid beneficiaries, who had higher rates than both uninsured and privately insured patients. Moreover, Medicaid patients’ high and growing ED use for ambulatory care sensitive conditions suggests the trend will continue with Medicaid expansion under healthcare reform, according to the research announcement. To prevent Medicaid patients from making frequent visits to the ED, hospitals could replicate efforts in Washington state that improve communication and care coordination between the ED and primary care providers, the article noted. The program in Washington educates Medicaid patients about appropriate care settings and involves case managers identifying and tracking frequent ED users, Michael Lee, M.D. of the Alpert Medical School at Brown University in Providence, R.I., told MedPage. Hospitals should target Medicaid “super-utilizers,” using early intervention and primary care, to save money while improving the health outcomes of these complex patients, according to The Center for Medicaid and CHIP Services. But despite concerns that high ED use by Medicaid patients stems from poor access to primary care, previous research has found most Medicaid patients go to the ED because they have to, seeking emergency or urgent care for serious medical problems, FierceHealthcare previously reported. 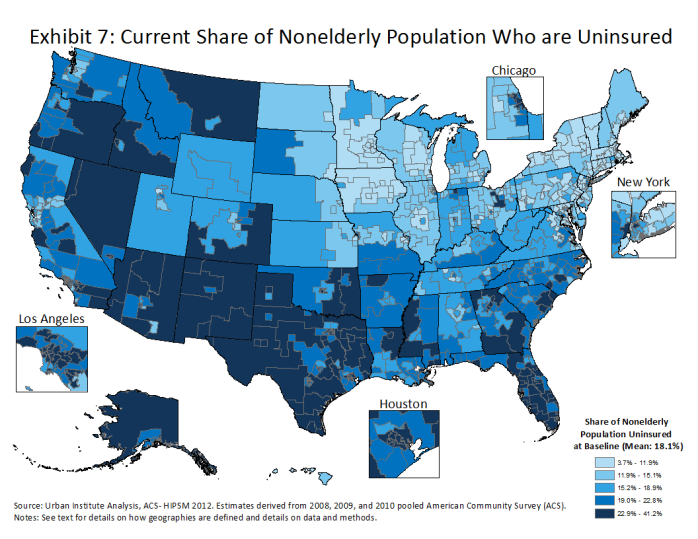 Only 2% of acute care hospitals nationwide are safety-net facilities, but they provide 20% of uncompensated care to the uninsured. Because most are in low-income communities, they typically generate scant revenue from privately insured patients. The Medicaid Disproportionate Share Hospital (DSH) program was established to help defray their costs for uncompensated care. Currently, Medicaid DSH disburses $11.5 billion annually to the states, which have considerable latitude in allocating these funds. Some states carefully target their DSH payments to hospitals providing large volumes of uncompensated care, but others, such as Ohio and Georgia, spread their payments broadly, transforming the program into a de facto subsidy of their hospital industry. Because the Affordable Care Act (ACA) was expected to dramatically expand insurance coverage, safety-net hospitals were expected to need less DSH money. Therefore, to reduce the cost of expanding Medicaid, the ACA reduced Medicaid DSH funding by $18.1 billion between fiscal years 2014 and 2020. To allow time for coverage expansion to take effect, the cuts are back-loaded — starting at $500 million (4% of current national DSH spending) in 2014 but reaching $5.6 billion (49% of current spending) in 2019. 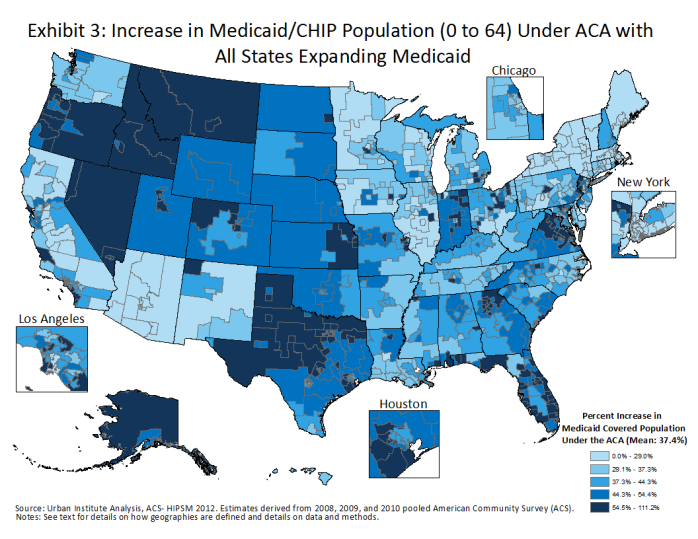 The DSH cuts are so deep in part because Congress assumed that all states would expand Medicaid, providing coverage for 17 million low-income people and sharply reducing uncompensated care. The anticipated increased revenue from Medicaid was considered sufficient to compensate hospitals for lost DSH funds. The fiscal math changed when the Supreme Court ruled that states could opt out of Medicaid expansion. 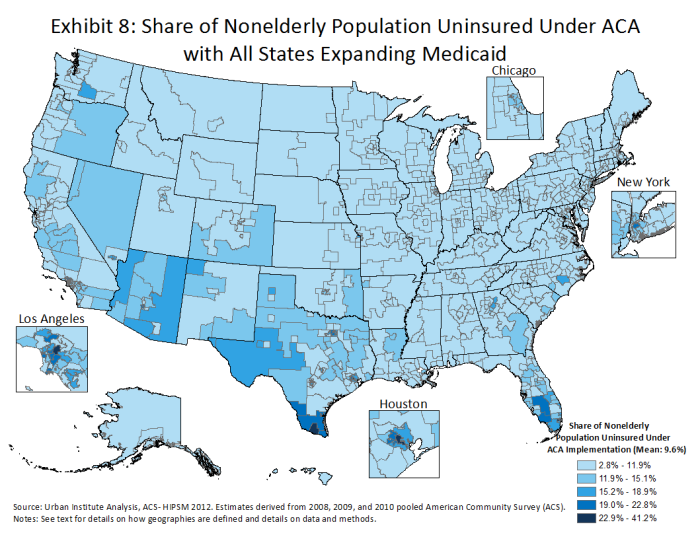 Now, only 24 states and the District of Columbia plan to expand Medicaid in 2014; 22 states, including Texas and Florida, will not, and the rest are undecided. Thus, at least 6 million Americans who were expected to obtain coverage will remain uninsured. Because many states that won’t expand Medicaid currently receive large DSH payments, their safety-net hospitals will be hit hard when the DSH cuts kick in. Even states that expand Medicaid will need some DSH support. After Massachusetts implemented its health care reform law, uncompensated-care costs at its hospitals dropped by 40% but soon climbed again. In 2011, Massachusetts hospitals required $440 million to offset their costs for uncompensated care. how well it targets DSH payments to hospitals with high levels of uncompensated care. If the rule is adopted as written, states with lower percentages of uninsured citizens will receive steeper cuts, but the biggest reductions will hit states that don’t target DSH payments to hospitals providing large amounts of Medicaid and uncompensated care. We believe the proposed rule moves DSH policy in the right direction by providing incentives to states to focus their remaining DSH funds on the hospitals that need it most. The proposed rule does not change states’ authority to use DSH funds for a broad hospital subsidy, but those that do will get less money. States that refuse to expand Medicaid and to target DSH payments more carefully will not only forfeit billions of dollars for covering their poorest residents; they will also forgo hundreds of millions more when DSH cuts are ramped up in 2017. If politics continue to trump economic self-interest in these states, the consequences for their safety-net hospitals could be dire. If properly enforced, the proposed rule will help sustain the safety net. But if the state governments that refused to expand Medicaid also refuse to rethink their approach to allocating DSH funds, there will be little money left to sustain their safety-net hospitals when the cuts deepen in 2017. The cascade of service reductions and facility closures that this could trigger would have sweeping consequences. With the increased usage of complementary and alternative medicine (CAM) in the US comes a need for evidence-based and integrated care systems which encourage open communication between patients and providers. This paper introduces a conceptual framework for integrative care delivery, with shared decision making being the “connecting force” between holistic treatment and improved health outcomes for patients. The use of complementary and alternative medicine (CAM) is increasing. The National Center for Complementary and Alternative Medicine (NCCAM) defines CAM as “a group of diverse medical and health care … practices and products that are not generally considered part of conventional medicine” (referring to Western medicine). “Conventional” medicine is oft-referred to as allopathic, or biology-based medicine, which has emerged as the Western medical model. 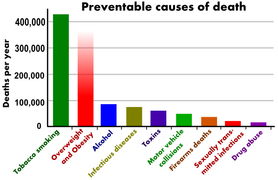 However, CAM is utilized by nearly half of all industrialized countries and similar or higher rates exist in many developing countries.2 These practices can be implemented together with conventional medicine, known as “complementary,” or in place of conventional medicine, known as “alternative”. Particularly in the United States, we are experiencing a shift toward combining the physiologic and technologic dimensions of curing with the spiritual dimensions of healing. The World Health Organization (WHO) recently launched a global strategy on traditional and alternative medicine, focusing on policy, safety, efficacy, and quality.4 Standardization across these dimensions has the potential to increase both access to and knowledge about CAM. Potential barriers to CAM use and implications. Despite developments in the field of CAM, certain barriers may inhibit its widespread adoption and integration. These potential barriers are engendered by lack of knowledge about CAM therapies, and difficulty incorporating CAM into daily routines. For treatments which require accessing a health care provider (as opposed to self-care), lack of accessibility may be an issue. Among younger individuals, the approval of family members and significant others can be important factors in individuals’ decision to use CAM. Despite advances in technology and the power of emerging genetic and genomic discov¬eries, patients around the world are still seeking holistic, individualized care that is focused on health of both the mind and the body. Despite advances in technology and the power of emerging genetic and genomic discoveries, patients around the world are still seeking holistic, individualized care that is focused on health of both the mind and the body. Currently in the US, most patients who present to a primary care provider are scheduled into fifteen-minute visits, even though varying levels in acuity and complexity of conditions may require more intensive attention and longer visits. Expressing concern about patient needs and teaching patients how to control their symptoms are important and necessary in caring for patients in a holistic manner and require focused time and attention on the part of the health care provider. Ben-Arye and colleagues (2012) conducted a study in northern Israel and identified that patients expect that their primary care providers refer them to CAM treatments and participate in building a CAM treatment plan. Some studies suggest that making provider visits more patient-centered should be focused on “improving dialogue quality” and “efficient use of time” instead of lengthening the visits. Patients have expressed concern about quality of care in general both in the US and internationally. Satisfaction with the care and performance delivered by our health care system is lower in the US than many other countries internationally, and health disparities within the US remain cause for concern because our current model of health care delivery is not adequate. Experts in the field propose training more integrative health care providers to ensure that healthcare is both “high tech and high touch”. The paradigm shift from “CAM” to integrative medicine reflects a need for open dialogue between patients and their providers, both conventional and CAM. Shared decision-making (SDM) between patients and providers is ethical, can preserve patient autonomy, considers patient values and preferences, and may lead to improved health outcomes. The conceptual framework introduced in this paper suggests that SDM is a vehicle that can help achieve implementation of integrative health care delivery. In a shared decision making model of care, the patient-provider relationship is interactional in nature, in that both the patient and provider are invested and actively involved in treatment decisions. Incorporating patient desires through shared decision-making (SDM) is considered to be ethical by promoting truthfulness and openness while encouraging patient autonomy. Most importantly, SDM has been associated with improved health outcomes across a range of illnesses. What is the role of Information Technology in an ACO? How can healthcare organizations that were built on volume adapt to the arrival of a value-based reimbursement system? American providers, as well as payers, are struggling to find an answer to that critical question. When it comes to the Accountable Care Organization (ACO), the struggle generally takes two forms: either to jump in with both feet via a model such as the Medicare Pioneer ACO program, or to sit back and take a wait-and-see approach. 1. What is an ACO? Accountable Care Organizations are groups of physicians, hospitals and other healthcare providers in a specific geographic area who come together voluntarily to provide coordinated high quality care to their patients. The goal of coordinated care is to ensure that patients, especially the chronically ill, get the right care at the right time, while avoiding unnecessary duplication of services and preventing medical errors. When an ACO succeeds both in delivering high-quality care and spending healthcare dollars more wisely, its members share in the savings achieved for payers, whether Medicare or commercial insurers. Many commercial payers have also entered into ACOs with providers, expanding on the long-standing concept of capitated reimbursement, a per-member, per-month advance payment model. In commercial ACO programs, capitated or value-based reimbursement is typically overlaid with targets for overall costs and incentive provisions for meeting cost goals and various quality metrics. Yet many commercial models are more tentative, providing arrangements such as traditional fee-for-service overlaid with shared savings and a care management fee. A concept that has been around for many years, clinical integration is the foundation of any ACO. Clinical integration is the means by which ACOs foster collaboration among independent physicians and hospitals to increase the quality and efficiency of patient care. Providers will need to achieve a significant level of clinical integration before they can contract with health plans, or participate in a shared savings incentives program, whether it is funded by Medicare or by commercial payers. There are three key components of clinical integration: 1) an active, ongoing collaboration between hospitals and physicians; 2) a coordinated effort, informed by information technology, to improve the quality and efficiency of care through the use of evidence-based practices and data-driven performance improvement; and 3) an agreement with a payer that aligns the financial incentives of physicians and hospitals to accomplish these goals. In the Medicare ACO program, as well as a small but growing number of commercial programs, #3 is achieved using the shared savings approach. 3. What is the role of Information Technology in an ACO? Successful ACOs will be those that best coordinate treatment of chronic diseases, which can, if left unchecked, balloon into expensive hospital stays. Accomplishing this requires all caregivers who treat these conditions to be in the same information loop. 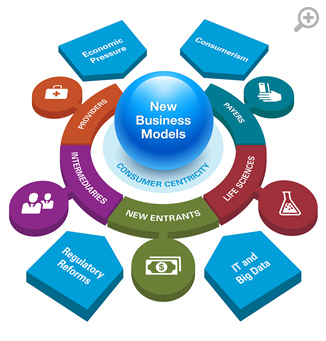 For most provider organizations, that means making a significant investment in information technology. A robust IT infrastructure is required to plug the many gaps that impede the coordination of care across inpatient, outpatient and home care settings. Four basic IT components are needed: 1) a health information exchange to ensure providers across the community have access to the same patient information; 2) an interoperable Electronic Health Record (EHR) that can be accessed in multiple settings, both inpatient and outpatient, to coordinate care; 3) personal health records to help engage patients in their own health; and 4) data analytics tools to profile physicians and at-risk patients alike. Each of these technologies are now in use, but not often in a coordinated manner. 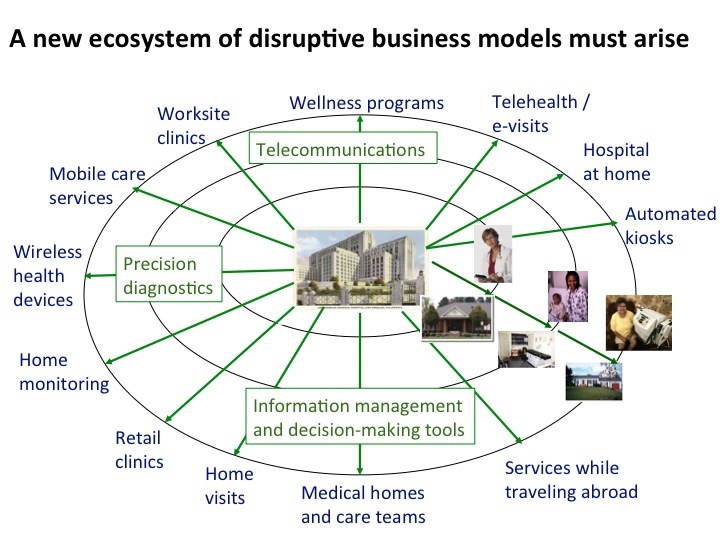 Besides these core technologies, important IT contributors to the success of an ACO include advanced utilization management functions, such as disease management, complex case management, preauthorization services, specialty referral management and other analytic tools, as well as the financial and actuarial modeling typically performed by health plans. Four categories mirror the key constituents of an ACO: physicians, payers, hospitals and health systems and patients. A fifth category describes an ACO’s organizational imperative – helping these groups to work together by building a shared identity. The ACO flips the traditional adversarial relationship between hospitals and physicians on its head. To be successful, an ACO requires shared, consensual leadership between hospitals and physicians, who come to the table as fully equal partners in the new organization. In June 2010, HIMSS Analytics released a white paper that addressed the use of clinical analytics in the marketplace. At that time, most of the respondents participating in this research indicated that they were actively engaged in collecting and/or leveraging both clinical and claims data to enhance patient care cost, safety, efficiency and reducing healthcare costs. It was noted that none of the applications in the EMR suite had reached market saturation. And, while utilization of each of these applications has increased in the past year, that is still the case. It is this growth in EMR adoption which is one of the principal drivers of the increased use of clinical analytics, since it is the patient data captured by these applications that is the primary source of the information that healthcare organizations analyze using clinical analytics tools. Spurred by Title XIII of the American Recovery and Reinvestment Act (ARRA) adoption of these technologies is expected to continue to accelerate in the future. In July 2010, the Centers for Medicare and Medicaid Services (CMS) published the final rules on the Electronic Health Record Incentive Program. According to the Federal Register, “The HITECH Act statutorily requires the use of health information technology in improving the quality of care, reducing medical errors, reducing health disparities, increasing prevention and improving the continuity of care among health settings”. In order to meet the goals of this statement and receive incentive payments, CMS identified a core set of 14 meaningful use objectives on which eligible hospitals need to focus to qualify for incentive funds provided through the new CMS Medicare and Medicaid incentive program. Additionally, eligible hospitals must achieve five of 10 menu set objectives to qualify for incentive funds. 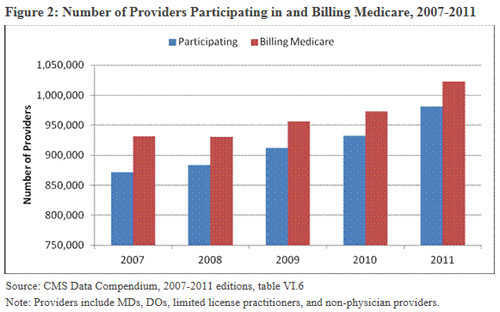 In addition to a focus on meaningful use measures, the industry’s shift to the use of ICD-10 (International Statistical Classification of Diseases and Related Health Problems-10th revision), mandated for the coding of all inpatient and outpatient claims beginning in October 20132, will also impact the use of clinical analytics. The increased granularity from ICD-10, combined with the increased electronic capture of clinical data will yield volumes of new data for which healthcare organizations will have the opportunity to translate into information that can be used to improve the delivery of healthcare in the United States. However, for this to be successful, healthcare organizations will need both the tools to review and analyze data and an environment, such as a data warehouse in which to store and stage the data for efficient analysis. In the research conducted in 2010, two key drivers for using clinical analytics to translate data into information were identified. These were achieving a high quality of care and patient safety and increasing awareness about the costs associated with the provision of care. These two factors continue to be the principal drivers in the market, as respondents indicated that they are continuing to try to provide a high level of care to individuals in their service area, while carefully monitoring and managing costs. One way in which organizations are framing the quality of care issues is within the context of meaningful use, which has become a powerful industry driver. Because of the financial carrot of incentives when meaningful use criteria are met, many healthcare organizations (HCOs) are evaluating how they are capturing and analyzing data. All of the respondents noted that they are carefully analyzing the data that is being generated during the care delivery process and mapping that data against the process measures, such as capturing flow sheet data and changes in vital signs that have been identified in the meaningful use criteria or entering orders using computerized practitioner order entry (CPOE). And, because organizations will be required to report on multiple measures to achieve the meaningful use incentives, they are driven to find ways to be able to capture and report successfully on all measures rather than focusing on only a handful of measures. Cost control also continues to be a key driver for these organizations, and has become an area of heightened concern over the course of the past year. 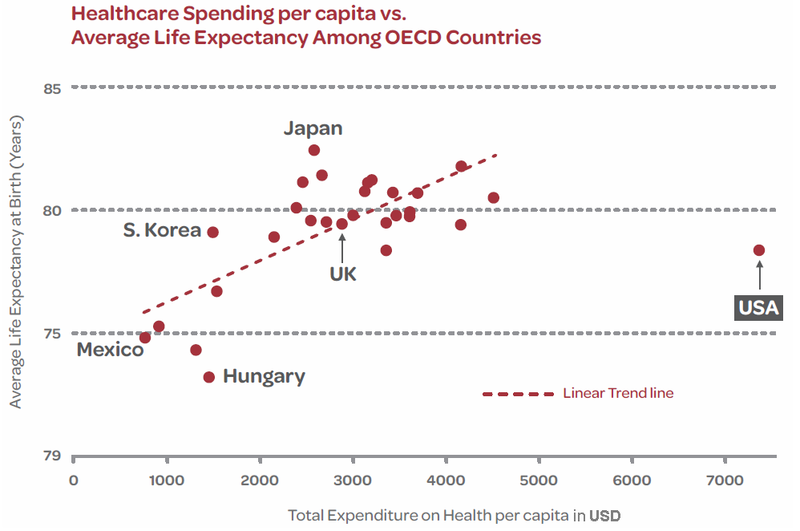 Healthcare organizations are under pressure to meet increased demands for services, while at the same time containing costs. Additionally, as HCOs shift to an environment in which Patient Centered Medical Homes (PCMH) and Accountable Care Organizations (ACOs) are being touted as key solutions for the future, HCOs are looking for ways to limit their financial risk and provide care in a smarter, more efficient and more cost-effective fashion. As such, both payer and provider respondents in this research suggested that they look at data that had the potential to allow them to improve the financial bottom line at their organizations. Most of the respondents participating in the June 2010 research reported that they are collecting and/or leveraging clinical and/or claims data to enhance patient care cost, safety and efficiency. The respondents from the current research cited similar approaches. To ensure that they are able to understand trends emerging within their patient population, respondents from the HCOs represented in this study reported analyzing data from wide variety of departments within their organizations. Some of the data sources identified by the respondents from provider organizations included OR, other procedural suites and the emergency department (ED). They also noted that medication, laboratory, billing and claims data were also analyzed. A number of respondents are also looking at data captured in ambulatory environments. The payer respondents in this research are also analyzing data from a wide variety of sources, including laboratory data, pharmacy data and claims (i.e. UB92) data. In addition to patient data that is captured at the HCO that is providing care, respondents reported sharing data with other organizations such as Midas, United Hospital Consortium (UHC), Premier and Health Plan Employer Data and Information Set (HEDIS). In conjunction with their own data, these external data sources allow HCOs to create a series of benchmarking reports that help them identify and analyze variances on their performance compared to other organizations of similar size and composition on key metrics such as length of stay, case costs and outcomes measures. Respondents from payer organizations are also relying on external metrics such as HEDIS and CAHPS (Consumer Assessment of Healthplan Providers and Systems) to direct their analysis. SB Abramson, D Jacob, M Rosenfeld, et al. It’s been more than 100 years since Abraham Flexner proposed the current model for medical education in North America: 2 years of basic science instruction followed by 2 years of clinical experience.1 Over the past several decades, major changes have caused the medical community to reconsider current educational models. These changes include increasing education costs, shifts in health care needs, the demographics of the applicant pool, and many scientific, pharmacologic, and technological advances resulting in increased specialization of physicians. In the past 30 years, the required training period after medical school has increased substantially,2 but the time spent in medical school has not been shortened. 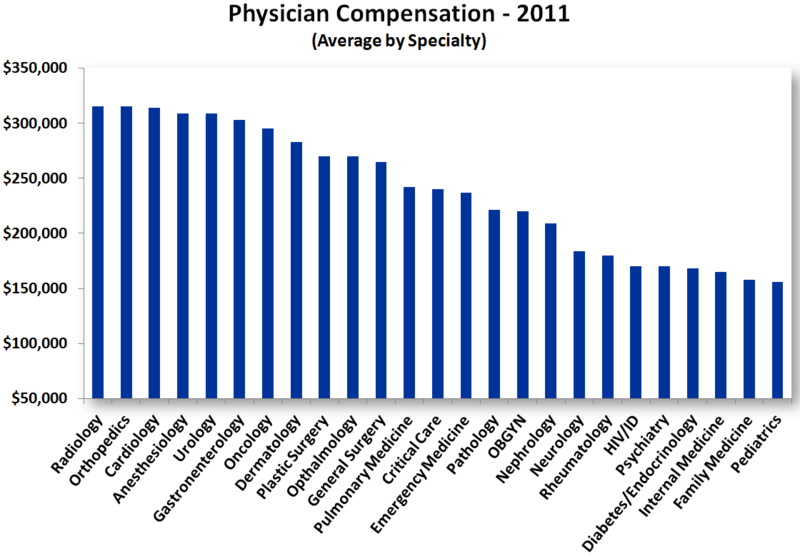 The average age of physicians entering practice has therefore increased. Since 1975, the percentage of physicians who are younger than 35 years of age has decreased from 28% to 15% (see graph), as the prolongation of specialty training has delayed entry into the workforce, reducing the productive years of clinicians and physician scientists. Compounding the effect of the increased duration of training is the growing number of entering medical students who have taken “gap” years between college and medical school. National data indicate that the average age of first-year medical students is 24. At the New York University School of Medicine (NYUSOM), 55% of this year’s entering medical students have taken 1 or more gap years. 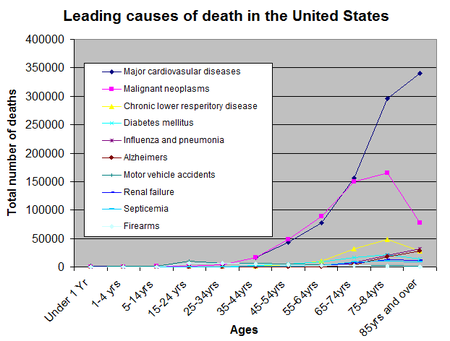 Percentage of Physicians in the United States Who Are Younger Than 35 Years of Age, 1975–2011. Part II: The Implementation of the ACA, Impact on Physicians and Patients, and the Dis-Ease of the Accountable Care Organizations. 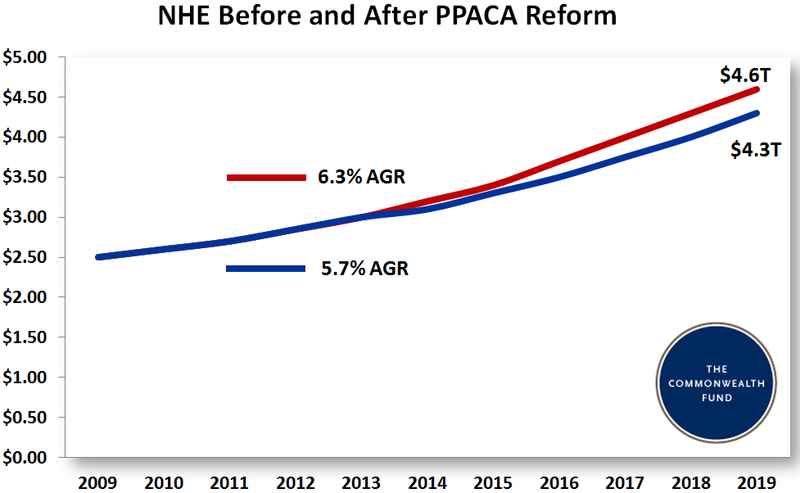 An earlier post on June 8, 2012 in Pharmaceutical Intelligence presented an overview of the Hospital Readmissions Reduction Program (HRRP) and its requirement to reduce payments under the Inpatient Prospective Payment System (IPPS) to hospitals reporting excess readmissions commencing with discharges on October 1, 2012. As CMS moved forward with HRRP, hospitals readiness for population based accountable care seemed questionable based on a 34 percent survey response or 1,672 hospitals. According to Medicare Payment Advisory Commission (MedPAC) report, approximately two-thirds of hospitals will be penalized (capped at 1 percent) for above average readmissions commencing October 1, 2012. This penalty will escalate to 2% in 2014 and 3 percent in 2015. Looking at the hospital readmission measures for Acute Myocardial Infarction (AMI), Heart Failure (HF), and Pneumonia (PN), this penalty will average $125,000 per hospital. Overall, the CMS payment to all hospitals will be reduced by 0.24 percent. A preliminary analysis indicated little variation by hospital type (i.e., urban, rural, teaching, non-teaching, profit, non-profit). Unrelated and planned readmissions – Solutions could include switching to a-condition measures that have exceptions for planned and unrelated readmissions such as the Yale all condition model or the 3M all-condition model. Moving forward in refining the policy several objectives were noted: maintaining or increasing average hospitals’ incentive to reduce readmissions; increasing the share of hospitals with an incentive to reduce readmissions; making any penalty a consistent multiple of the cost of readmissions; being at least budget neutral to current policy, with a preference for lower readmission rates rather than higher penalties. Any policy refinements will require a change in law and must proceed carefully. On October 3, 2012, CMS issues a notice indicating that errors were discovered in its initial calculation for readmissions penalties under the Inpatient Prospective Payment Systems (IPPS) that went into effect the beginning of October. The revisions were in part to implement capital and operating related costs to acute care hospitals arising from CMS’s continued experience with the systems. Also updated were payment policies and rate of increase limits for certain hospitals excluded from IPPS and paid under Medicare’s Prospective Payment System such as Long Term Acute Care Hospitals (LTACHs). Based on a Kaiser analysis of the miscalculation, 1,422 hospitals will lose more and 55 hospitals will lose less than originally projected. 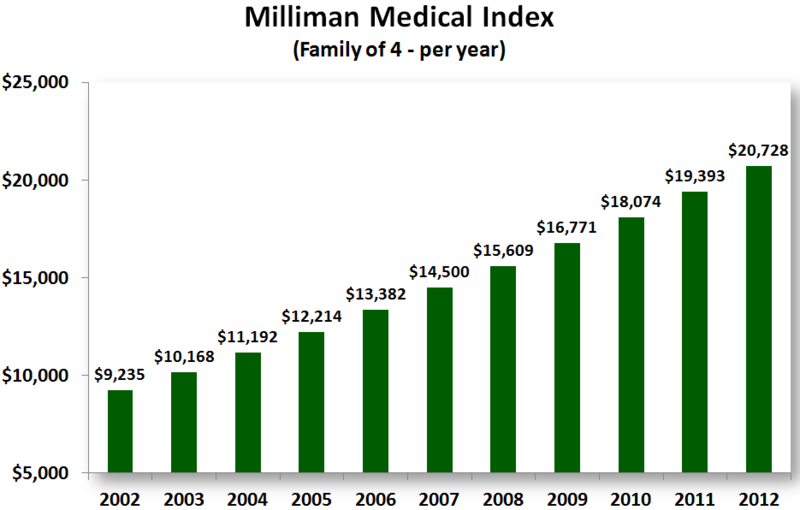 The changes were tiny averaging 0.002 percent of a hospital’s regular Medicare reimbursement. A total of 2,217 hospitals are being punished in the first year of the program which began on October 1, 2012. Of those punished, 307 (14%) will be penalized the maximum 1% of their regular Medicare reimbursement. As reported in the Napa Valley Register on October 14, 2012, variations in local practices patterns are already being noticed. For example in Napa Valley, Queen of Valley Medical Center has a 18 percent readmission rate, St. Helena Hospital a 13 percent readmission rate, and Kaiser Permanente Vallejo Medical Center a 7 percent readmission rate. Local hospital officials are claiming that reduced readmissions incorrectly assumes better care and that not making exceptions for unavoidable readmissions are policy flaws. While officials at Kaiser Permanente of Northern California indicated that they had no concerns about the policy change because “it promotes co-ordianation of care, individuals at Queen of Valley Medical Center and St Helena’s Hospital expressed a variety of concerns from the fragile natur of patients in certain of the included diagnoses and the 30-day time fram to evaluate readmissions. Moving forward to lower readmission rates at Queen and St. Helena indicated that they will pay more attention as patients are discharged from the hospitals during transitions of care, Professionals will coach patients in self-management through home visits and phone-calls after they have been discharged from the hospital.